With less than two weeks until release of The Legend of Zelda: Breath of the Wild, series creator Shigeru Miyamoto and producer Eiji Aonuma have been speaking about a range of topics surrounding the game and what fans should expect. A recent interview gives an interesting insight into their thoughts ranging across a number of topics; one topic was fan feedback, and whether to take it on board or go with gut feeling when working on a new entry in the series. There is a little bit of a gap between fan feedback and what my strategy was. There was a fan that said he really, really loved Zelda. But while playing Skyward Sword, he missed experiencing this huge world where he could just ride Epona around. During Ocarina of Time, he really loved doing that. And somewhere within myself, I felt the same way. So for Breath of the Wild, it' s something I definitely thought about. Mr Miyamoto goes on to talk about the difference between the original Legend of Zelda and its sequel Zelda II: The Adventure of Link. The Adventure of Link is almost a completely different game. What we wanted to do was really focus on the action. Whereas Zelda is a game where you learn to grow, and that's how you complete the game. But the adventure of Link is all about action. And, obviously, players can polish their action and become better at it. But we wanted to create a separate game. Back in the day we were using the disk system. So if we really wanted to create an action-based game then we weren't able to create it just as the Legend of Zelda was, so we had to change it. So, in that sense it's almost a completely different series. That's why we named it "The Adventure of Link", it's a very different game. The full video interview with the duo can be viewed here. 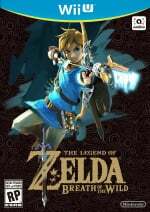 How important a role should fan feedback play with Legend of Zelda titles? Can't wait for this game! I was a bit worried that they were removing too many traditional Zelda conventions, but the trailer in January has gotten me excited. I also like the idea that you can go straight to the final boss at any point. I wonder if it will be possible to defeat the boss right from the start, and how difficult that will be. When will we get this masterpiece? @luke88 Same here. I'm a little worried about that too, but I can't imagine they'd omit that from the game. When it comes to fan feedback there's no right or wrong, and a lot of varying opinions. Therefore I think it shouldn't be taken on board much at all. Nintendo know how to design quality games and have plenty of past experiences to learn from. They don't want to make the same game twice so they depart from what came before to try new ideas. I think this is a great strength of the Zelda series. I loved how Skyward Sword had the sky hub world and localised land areas to drop into. This was a perfect change of pace after experiencing the biggest over world in Twilight Princess. The day Nintendo start listening to 'fans' is the day each game becomes more and more predictable and as a result, boring. Give us the games we need, not those we think we want. @Pazuzu666 The thing is that we are customers and as such do not need Nintendo games. If Nintendo fails to provide what we want, why bother? I'm really looking forward to this game!! 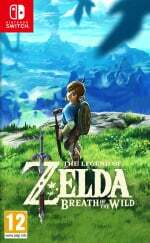 Lots of concerns with the whole "soft launch" dilemma but if you're playing Zelda BOTW. You're set for months. I also loved the motion controls of that game though I'm in the minority of course. @gb_nes_gamer That dangerous type of thinking gives you lackluster things like Fallout 4, rather than Fallout New Vegas. Criticism is important, and taking it into account is even more important. @arrmixer me to. Having to use each directional slash of the sword to attack was a good use of motion plus. 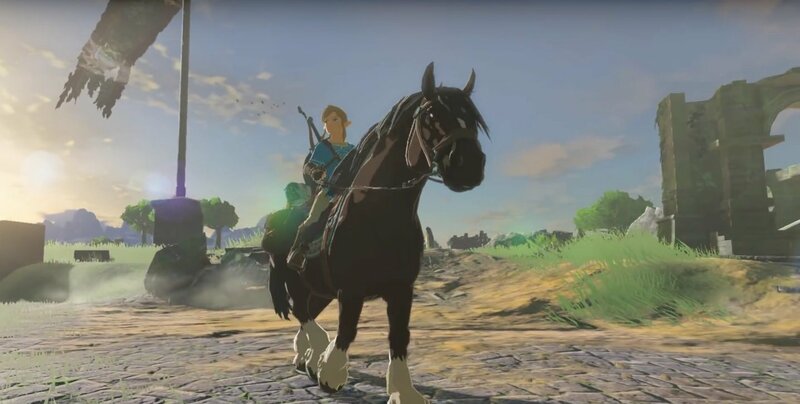 I also loved the part of ocarina of time where u can ride epona wherever u want. So yeah i think breath of the wild has all the best elements combined. What i also loved the most where the mask transformations of Majoras mask. @Tarvaax I guess it depends on the kind of game experience offered to begin with, and the kind of feedback given. I haven't played Fallout but that's a good point. I'm sure there are cases when fan feedback has helped improve a game. I was thinking more of Nintendo and Zelda in particular. They have a solid track record with the series. It has already been confirmed that there will be true dungeons on top of the shrines. Game Informer played through one of these in its recent article. Sometimes fans know what they want and sometimes they don't. It's good that they considered what the fans wanted. Thanks for the info. I was actually thinking of buying a physical copy of the mag. Did you read get a copy? Generally, fan feedback should only be reflected in the work if the authors want to do or at the very least don't mind doing the thing anyway. Fans can't honestly care for the work's improvement since fan love is self-centered and obsessive in its core - what we care for in reality is how well the work manages to entertain us, and that misses the bulk of the point with Fiction. Quality assurance and the quest for improvement both lie and belong on the creator and producer side; we can voice what we like or not but we can't boss them around in what to change or keep. "Can't" in the moral sense, of course; it's not like any fan attempting to backseat drive and lobby the production can be held responsible (especially in the age of internet anonymity), so the only real way here is to bite your lip and keep doing what you believe in and what you pursue. Although if the people behind the work consciously choose to throw a bone to fans, it's their fully entitled choice to do so. Although personally, I can't treat fandoms as much other than the entities who chomp off your arm if you give them your finger. Fanship will be fanship. Games, one must admit, are a somewhat of an exception since they are interactive fiction and software. Under certain yet not uncommon conditions, games are easier to spot OBJECTIVE issues in because such things can be experienced and perceived unanimously, regardless of affection/obsession and personal taste. In that sense, gamers can indeed be sort of post factum testers and their feedback can be of value to the improvement of future games - or even the games in question as we're living in the Patch Age anyway. But we caring and loving fans sure manage to make a mess of ourselves even when it comes to feedback on video games (and shamefully enough, none of the "we" in this comment is a generalization I could pretend to distance myself from as far as my own relationship with and public statements on games are concerned). Ya know, back in 2013 when I had just gotten a Wii U and was just getting back into gaming, I remember the lead up to Donkey Kong Country Tropical Freeze. Now, DKC was my childhood fave. I won art contests drawing Enguard the Swordfish in 5th grade. I adored the music especially. So when they announced this game I went nuts... I was so excited for it. And back then I was a different person- a little too caught up in games for my own good. So I saw a gameplay vid with the first Walrus boss fight, and the heavy metal guitar soundtrack was horrible imo. Totally NOT the David Wise soundtrack I was expecting. so I flipped out and ran to Facebook and sent them a message telling them how they ruined the game with the soundtrack and asking how they could possibly allow such a horrible soundtrack, etc, and Retro responded kindly. Well, the game comes out and I discover it has one of the absolute best soundtracks in any game I've played in the last 30 years. That one track I heard? That was the only one that didn't seem to fit in and even it wasn't as bad as I thought. That's when I learned my lesson about being a vocal "hyper fan". I'll never make that mistake again. There's definitely a fine balance to be kept between auteur level ownership and public ownership. Nintendo has always erred on the side of auteur ownership, but I think they used to take fan feedback into consideration more so than today. This was especially true with Rare during the N64 days, when they built their reputation on almost perfectly balancing fan feedback with their own ideas... Probably better than Nintendo ever did. True, there are instances where fan bases don't have the wherewithal to truly manage and uphold a franchise. (That's not their job, anyways.) However, fan bases are almost certainly better than the auteur at preserving works, and sometimes even at enhancing them. Two of the greatest examples I can think of for this are the lost original sales data for the NES launch with Super Mario Bros in the USA, and the loss of the original source code for Panzer Dragoon Saga. No one knows the details of the data for the NES/Super Mario Bros launch in the USA anymore. One would think such a historically important occasion would be recorded properly, but instead, it's an event which showcases one of the greatest signs of proof that the video game industry is completely and utterly incompetent and/or uncaring when it comes to legacy data preservation. No one will know 100 years from now what those early days of the NES launch in the USA were like, aside from a few tales recorded by those such as David Sheff's Game Over, because virtually no data on the matter was ensured to be recorded for public perusal. There was no fan base at the time to contribute towards such records. If there were some kind of Japanese fan base at the time recording events in the USA, maybe we would have some kind of accurate picture of the data. Instead, it's forever going to remain an enigma. That's why the industry needs fanbases- they're far better than the industry itself will ever be at record keeping and preservation. Speaking of preservation, we will never get a remake or re-release of one of the most critically acclaimed titles of all time, Panzer Dragoon Saga for the Sega Saturn. Why? Because at some point while Sega was cleaning house in the early 00's after the demise of Sega as a first party, they carelessly destroyed or lost the source code for PDS. As a result, there will never be any remake or re-release of any sort, and Panzer Dragoon Orta will probably be the last of the series. In addition, there are almost no physical copies of PDS remaining. The only way it can be preserved now is by either emulating a ripped copy of the disk, or physically modding a Saturn to play copied games. The related fan bases and Saturn emulator creators have now become better stewards of the franchise than Sega themselves. This why we need emulation- sometimes, there really is no other way to preserve and access data for historical purposes. Otherwise, we would lose all memory of a title that competed with the best of the Final Fantasy series in artistry and scope. @-DG woops, didn't mean to send that to just you, sorry! But yeah, I like the Chrono Trigger-esque idea of being able to end the game at various points in the story. @nhSnork You make it sound like fan bases are parasites, so franchises can survive without any fan base at all... Good luck with that. I can't help but be excited. My favourite Zelda is Majora's Mask and not for the dark Alice in Wonderland story but the umpteen mini dungeons and side quests. I didn't miss the long level-based dungeons of Ocarina, but loved figuring out the needs of the townsfolk. As long as the balance between plot, exploration, rewards and endgame is there it will be astounding. And we've probably only seen about 1% of the game. Nintendo like to keep quiet to encourage the childlike nature of discovery that pervades their software. You are absolutely right, friend. It might seem sad, but we as gamers are often very bad at predicting what we need! I would never have asked for a first person Metroid, yet boy am i glad we got one! @Pazuzu666 Of course, if done right then it's great. And this was done right. Fans wanted more open space, and Nintendo do also had the same thoughts and decided to focus in that direction. As a result, they've built a brilliant game around that idea that fans wanted, rather than cram 100 different ideas by committee of fan wants. @luke88 TBH my least favorite part of 3D Zelda games are the dungeons so I guess I'm okay with them being optional or omitted but I know it's not the case for everybody else. Though I do remember reading years ago that dungeons were going to be a main part of the game in Breath of the Wild but can be completed in any order the player wishes. It genuinely does look like they took the criticism of Skyward Sword constructively. However good the story is in Breath of the Wild, and whether it has that "magical" feel or not; gameplay-wise, it looks exactly what many of us have been asking for. You're set for months if you're playing it on Wii U as well. true but I bought the Switch for it's portability factor as well. So many fans, with their own idea of what Zelda should be. For me? I hated Skyward Sword, loathed the DS titles, but absolutely loved Majora's Mask & Twilight Princess. So I guess from a Business perspective, they would cater to the "Largest Fanbase View" for maximum profits, but then again from an Art perspective, we should let Aonuma make them as he sees fit. Long story short......... Probably gonna be random because of all the variables. Here's hoping "Breath of Fresh Air" is as the title exclaims! @tarvaax That isnt a very good comparison. General opinion is that FO4 was a step back from the previous games thanks to a lack of options and bad writing. Quite a few gamers prefer New Vegas or even FO3. Besides that, we're talking about different development teams...so it wasnt fan feedback that made Fallout4 "better" than New Vegas. @Viendra Minish Cap was awesome. No need to cough. Loved Skyward Sword myself, but that's part of your point! It's even a bit funny to have a discussion about the merits of listening to "the fans" because... well, which fans. It's not like they can agree on much. The idea of fans clamoring for a return to this or including a must-have feature is a fantasy that a small group of fans like to get caught up in when they want something really bad. I've been on board since day one with BOTW. I don't care about the traditional conventions at all, I just want the best game and freshest experience possible, and things look good on that front. @gb_nes_gamer I actually hated Skyward Sword for that. It made the world feel broken up, incomplete and episodic. I particularly hated that you had to fly to those coloured beacons, rather than just descend proper from the clouds to an area. Technical limitations probably prevented that, but I'm sure some trickery could have been employed to make it more seamless. @ClockworkMario ah, I must've missed that, good stuff - thanks! @BertoFlyingFox That was exactly by point. Fallout 3 rolls around, there are certain big criticisms people have with it. New Vegas comes from Obsidian, and for the most part it's hailed within the community as doing everything that Fallout 3 should have done. Then comes Fallout 4, Bethesda's second try at the franchise, and they completely overlook the main critiques they got with 3, and it fell completely flat in the eyes of the community. I think every community has a general sense of what they expect from a series, things that you just can't lose without it losing its own identity. For Zelda? It's the combination of action-based combat and puzzles. For Fallout? It's choices that impact the outcome of every quest, major or minor. It's being able to craft your own story and character personality with your own unchanging strengths and shortcomings. You have to try and cater to the fans because it's them who will continue to come back time and time again for the franchise. However, at the same time you have to try change some of the games traditional aspects to gain mass market appeal. I've learnt to trust the creators, as I think each entry brings something unique and positive to the franchise. This game will be no exception for me. @astarisborn94 , I think Nintendo has this concept down correctly. For one, most people don't really know what they want, and if Nintendo were to try to go down that route, we would just get derivative of the same thing. I tend to dislike the majority of Eiji Aonuma's Zelda titles. It would be nice if another producer at Nintendo would step in. @PlywoodStick Panzer Dragoon Saga is a freakin' masterpiece. Probably in my top 10 best games ever. It's a crime that so few people have played it. Though the source code is missing I don't see why there couldn't be a remake based on just copying the original. More likely though is that if we can eventually get 100% perfect Saturn emulation, a "HD" version with embedded rom will be released. Incidentally, Sega need to start pressing off more copies and sell them as repros. It would be easy enough for them to do without the source code. Ganon is all kinds of ugly. I would be evil too if I looked like that. "KING: The Quest For Dinner"
My abdominal sides have disappeared from my body. @tarvaax Ah, I see what you mean. @ruinez Go play Skyrim/Morrowind, Witcher 3, or Fallout 3/NV/4 and come back and tell me just how "bad" DLC will be for Zelda. Only crappy companies make payed cosmetic DLC. Most just give you a totally new adventure.